1788: Governor Phillip names the district Rose Hill due to its proximity to the river and lush landscape. 1806-1823: Rising land on the north side of the river is named Mount Betham by Governor Bligh. 1830-1831: The King’s School is established by Archdeacon Broughton. 1832: The King’s School opens in George St, Parramatta with 3 Boys. 1833: Headmaster Forrest requests purchase of the land at Mt Betham. Land is granted a year later. 1834: A tender for £ 2350 for brick building on a new site is accepted and construction begins. 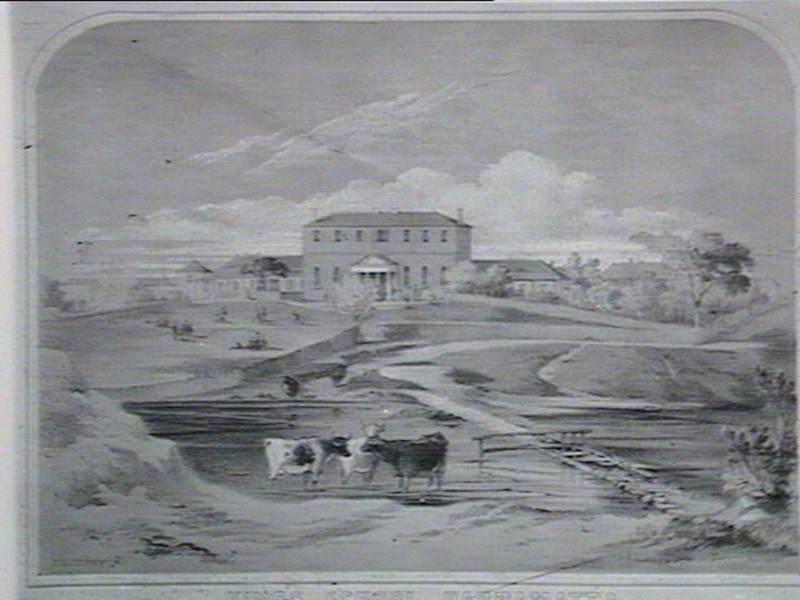 1836: The King’s School moves to the new building on the north bank of Parramatta River. 1843: School is temporarily closed due to scarlet fever epidemic. 1864: The school roof falls in. The school is closed and pupils moved to St Mark’s Collegiate College, Macquarie Fields. 1869: The School reopens after repairs. The first floor is made up of four compartments, each with twenty beds. A stone staircase is replaced with cedar. A military-style uniform is introduced. 1887: Lady Carrington, wife of NSW Governor Lord Carrington, lays the foundation stone for the Chapel. 1900-1910: Additions include a new dining hall, dormitories, quarters for the domestic staff, three story armoury and a swimming pool. 1920s: Extensive interior remodelling. Boarders and staff move to new quarters. 1964: The King’s School moves to its new site at Gowan Brae, North Parramatta. The State Government purchases the former King’s complex. centre for intellectually handicapped children. Extensive remodelling of the interior of the buildings is carried out. Office. The main building and master’s cottage are conserved and adapted for reuse as office space. of the former King’s School. The King’s School has been important in the development of Parramatta and the history of schooling in NSW. Kings School was named after the King’s School in Canterbury, established in AD597 and one of the Britain’s old schools. In 1829, William Grant Broughton arrived in the Colony and recoganised the need for schools which can offer classical, mathematical and general studies, possibly similar to the education he received during his time at Cambridge. 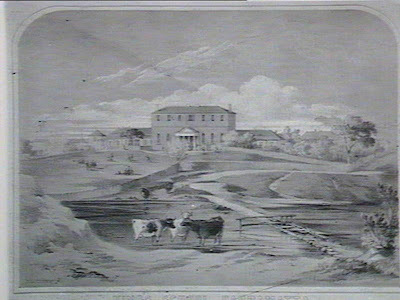 His Plan for the Establishment and Regulation of The King's School in New South Wales was placed before Governor Darling in 1830 and despatched to England. His Majesty's Government approved the creation of two Schools, one in Sydney which was to be short-lived, the other at Parramatta, the despatch arriving in March 1831, thereafter the foundation date for the School. The King's School Parramatta is Australia's oldest independent school. Founded in 1831 by command of King William IV of England, King's was established as a boys' school that would provide Australia with its next generation of leaders. It is situated on 300 acres of beautiful park-land in the demographic center of Sydney. The King's School opened its doors on 13 February 1832 with just three young boys, numbers quickly grew and by the end of the year, with numbers approaching a hundred, accommodation at the rented premises - now known as Harrisford in George Street Parramatta. Within three years the School had moved to a new site supplied by the New South Wales government on the banks of the river. In 1836 Robert Forrest, a former pupil, was the first headmaster. The boarders now lived in ‘Macarthur House’, Melville St. Parramatta. They slept on straw mattresses until 1855. 1865 The building was in a dilapidated state. The school community was then removed to Macquarie Fields. It was here the first Cadet Corps began in 1866. Renovations, costing £1,000, began at Parramatta in 1868. By 1869 the school was reopened. Rev. George Fairfowl Macarthur, an ‘old boy’ was headmaster. He instigated the policies regarding tuition and the school prospered. A Sports oval was leased from Parramatta Park and a Bowling Green was created in the grounds. In 1876 there were 60 pupils. The school chapel was completed in 1889. By 1900 outside houses were again necessary for the number of boarders. Old Government House, Parramatta, was used by the Junior school, in 1910. A swimming pool had been installed in 1908. The clock was installed, by commission, to honour a past teacher, William Stewart Corr. (1888-1913). Two additions were to the chapel in 1923 as a memorial to those ‘old boys’, who died in the First World War. The property Gowan Brae on Pennant Hills Rd was purchased with a generous bequest from Mrs Violet Macanash, whose brothers were past pupils. The First Prep School was transferred there in 1956. In 1962 The Senior school was also transferred to Gowan Brae. This ended 126 years of occupation on the Parramatta site. The final service in the school chapel was in November 1969 and it was demolished, to be rebuilt block by block at Gowen Brae. 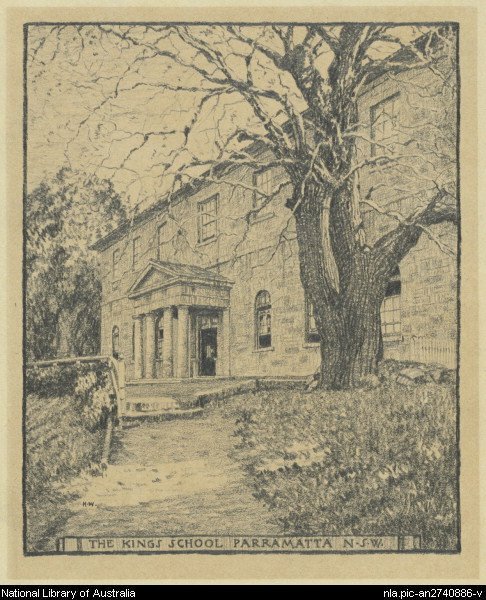 Waddy, Lloyd, The Kings School (1831-1981), Parramatta & District Historical Society Inc.
King School, Vertical File, Local Studies and Family History Library, Parramatta Heritage and Visitor Information centre.